What Will Happen to London after the Olympics? 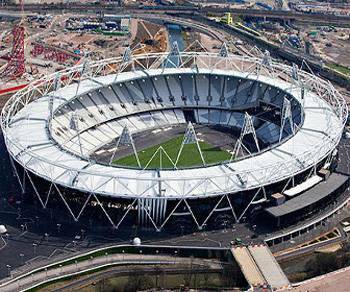 The London Olympics are coming soon, and London is getting ready by putting up many new tourist attractions and arenas to host the games. They are also building and expanding venues to house the large crowds. That is great, but what is going to happen to London after the Olympics? Some people are worried that it will turn up like the Chinese Olympics with tourist attractions and arenas that are going largely unused. England thought about this, and they have done some very smart things to ensure they do not waste resources. A whole new aquatic center was built to host the swimming and water-based games. The center is fairly large, with the main center and two extra wings to house everyone. While many resources were needed to build the center, they are not being wasted. The main center is going to be used for smaller aquatic games. This can include national swimming tournaments, or the center can be rented by organizations that need it. The two wings are removable, and they can be reused if a large crowd is expected at the aquatic center for any reason. Unlike the aquatic center, the basketball center is not going to be reused as is. The building was put up only for the Olympics, and it will be torn down afterwards. London officials are doing their best to ensure that the materials will be recycled and reused for other buildings. Some parts of the center are also expected to be reused in other arena projects elsewhere in England. This center is similar to the aquatic center. There is additional seating that will not be needed after the Olympics, so that will be removed from the BMX track. The track itself is going to stay, and riders can go there just to have fun. The ownership of the BMX track is also to be transferred to Lee Valley Regional Park. This is the arena used for handball and pentathlon. This is one of the few centers that will actually be expanded upon after the Olympics. The seating will remain, and the entire center will be used as a general sports center. This venue was specifically made to be versatile. Basketball hoops, a boxing ring and a volleyball net can all be added and removed whenever needed. The center will have a gym and cafe built into it after the games are over. Volleyball is to be hosted here during the games, and this is one of the few centers that had very little work done to it. Earls Court was built around 1890, and it has been used for exhibitions and events. This is actually a famous exhibition center that has been used for years to host many events. Earls Court will be doing the same after the Olympics. The special volleyball installations will be removed, and the center will go back to doing what it has been for over 100 years. This is where the opening and closing ceremonies will occur, and it will also host most of the general athletics games. It was built exclusively for the games, but there are many plans for it after the games are over. It will become a publically owned stadium that can be used for larger events. The 2015 IAAF World Championships are currently scheduled to occur there, and many other similar events are planned for this stadium. 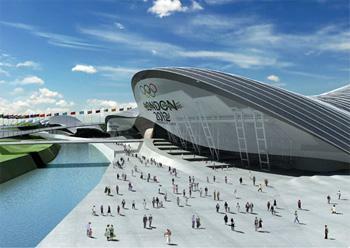 This arena was placed within the main Olympic Park, and it will largely be used for hockey during the games. After the games, Riverbank Arena is going to be moved. This is the similar destiny for several other venues. They will be moved closer into the Olympic Park and joined together. Moving the arena frees up the surrounding area, and it still allows events to be hosted at the arena. London is perfectly prepared for the 2012 Olympics. They have done their best to minimize any wastage by reusing or converting most of the attractions and venues built for the Olympics. 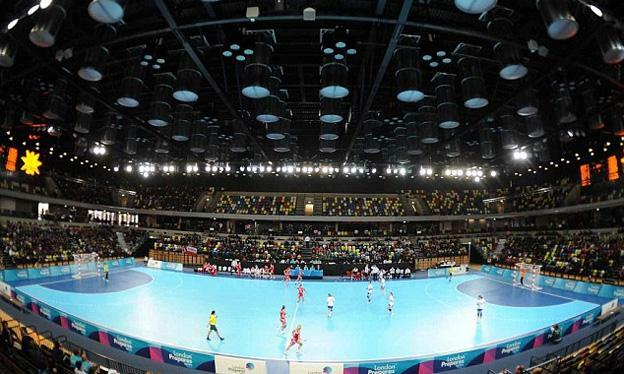 This was a great move on their part, and it will definitely enrich the London area by adding more arenas and sports centers for public use. London after the Olympics will be privileged to have such a variety of sports facilities ready to be used for national and international competitions. Del-Immune V®, a unique probiotic supplement made from the lactobacillus rhamnosus which is an immune support.